#StayWild Tip: Growing flowers, fruit or vegetables? 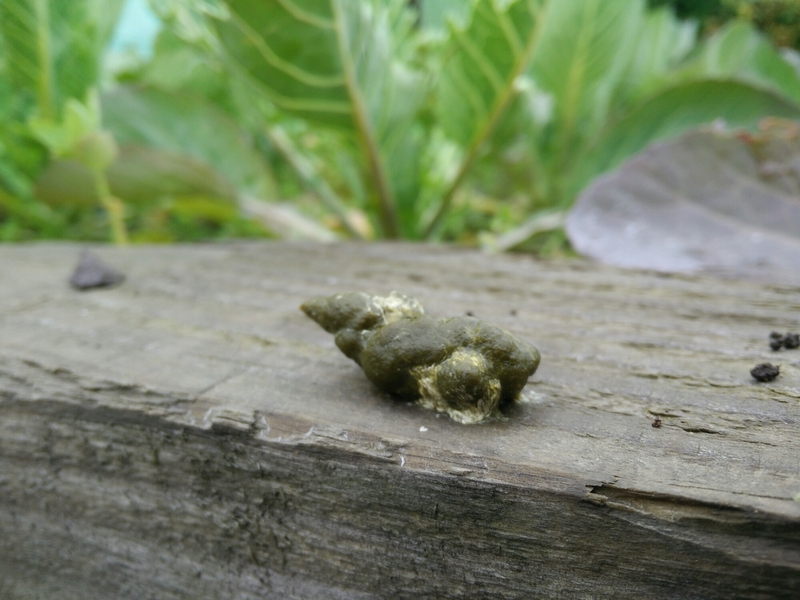 Find wildlife-friendly ways of controlling pests, such as this advice on slug and snail control from The Wildlife Trusts. High drama in the raised beds! 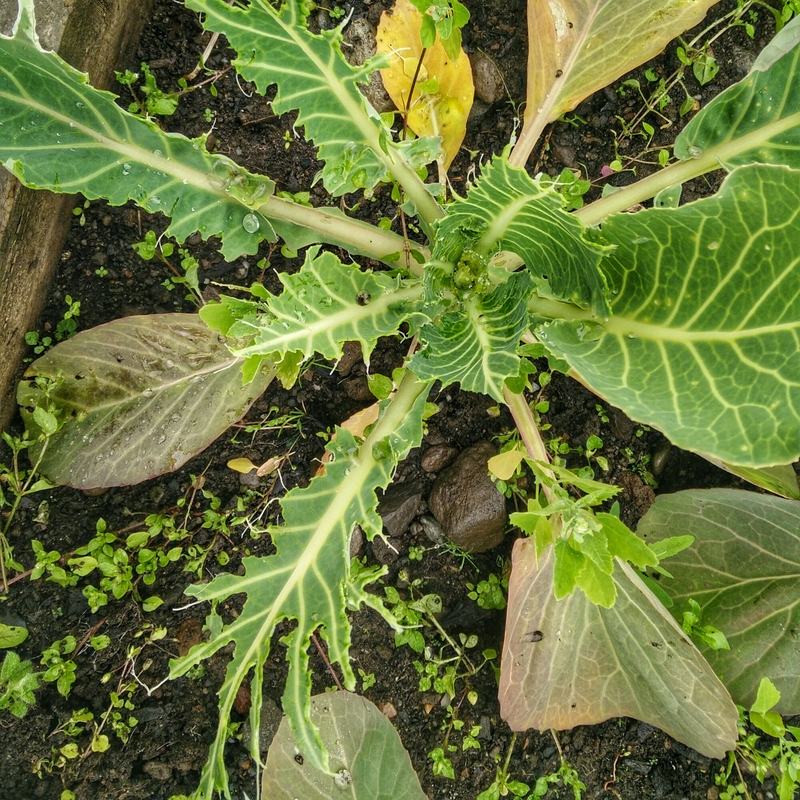 Our little plot of vegetables in the Hostel garden has been doing really well – the onions, potatoes, carrots, cauliflower and broccoli have been coming on strong due to the mixed warm and wet weather, and had so far escaped the ravages of caterpillars, slugs or snails. Only yesterday I was writing about the “unlovely” wildlife that visits, and snails were foremost in my thoughts when I saw the following damage that had been done to the brassicas while I was out teaching young people the difference between weeds and vegetables. We’re growing cauliflower and broccoli, but due to a label mix-up we won’t know which is which until they get a little bigger. Having nurtured them this long, I was distraught to see the ravaging that the plants had suffered – but it was only two. Just a pair of the plants had been pillaged, while all around their brethren strained skyward, untouched and unharmed. I hunted for the villain of this piece, but could find no trace of nearby slug or snail. In fact there was so slime anywhere at all – most curious. No other obvious signs of predation hinted at what had committed this act of vege-vandalism. I resorted to a good old-fashioned interweb search, which threw up all hints of all sorts of herbaceous horror stories. I eventually found a picture that matched my munched leaves. The characteristic leaving of the stem and ribs, and the torn rather than nibbled remains pointed firmly in the direction of… well…. They look like cauliflowers. Do you cover your brassicas with netting? All of my brassicas got ravaged and I found the same evidence as you. My mother had warned me to put netting over, but I grow in a community garden so this isn’t possible. They don’t seem to eat anything else though. My beetroot leaves are just fine. I’m wondering now if some of the seeds I planted that never came up were eaten by them.